How can this photo not make your weekend just a little better? 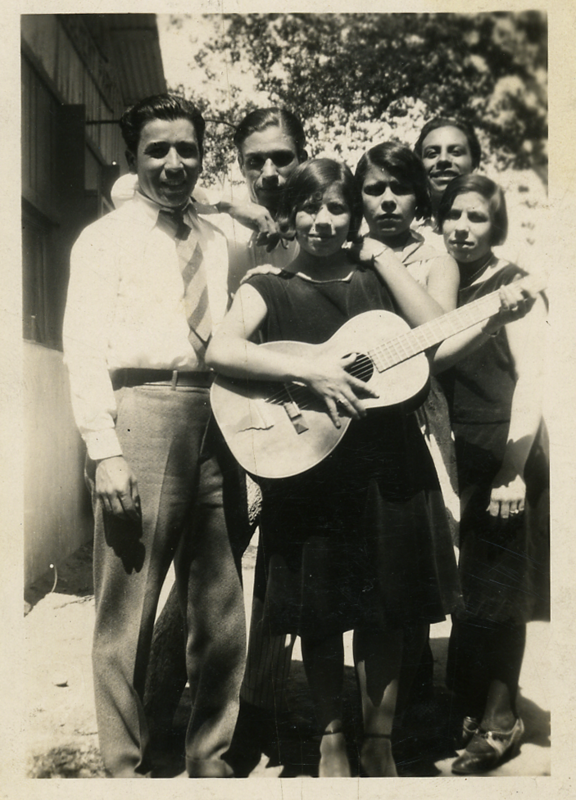 This is my grandaunt Maybelle Margarete Stoltz with Maybelle’s Nighthawks, according to family lore the first band in El Paso led by a woman. Maybelle was born in El Paso on 23 May 1909 and died there on 20 Apr 2001. Her entire life she loved to entertain. Maybelle married Felix Chávez, Sr. (born 20 Nov 1910 in Chihuahua, died 13 Sep 1986 in El Paso), and Felix’s half sister, my grandmother Consuelo Marín Chavez, of course married a Stoltz. Thus there is a double tie between the Stoltz and Chávez families. That’s the reason we have joint family reunions. Weren’t Felix and Grandma half brother and sister not step? Absolutely, Aunt Eva, thanks for catching that. See what happens when I write too late at night? Fixed.